Hotel is 25 minutes from popular attractions like Sea World, San Diego Zoo, downtown San Diego, several beaches and casinos. Standard guest rooms and suites are available. Suites feature living rooms, sofa sleepers and two televisions. Handicap accessible and pet-friendly rooms are also available. 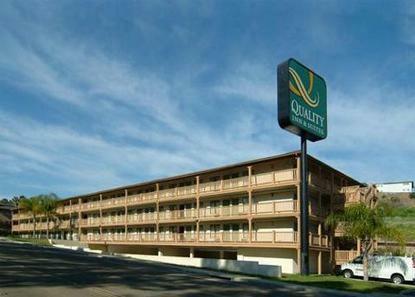 Guests will enjoy free deluxe continental breakfast, free high-speed Internet access in all rooms and free parking. Pet accommodation: 10.00 per night. Cash paying guyests charged 100.00 (Deposit Refundable at Check Out via check).